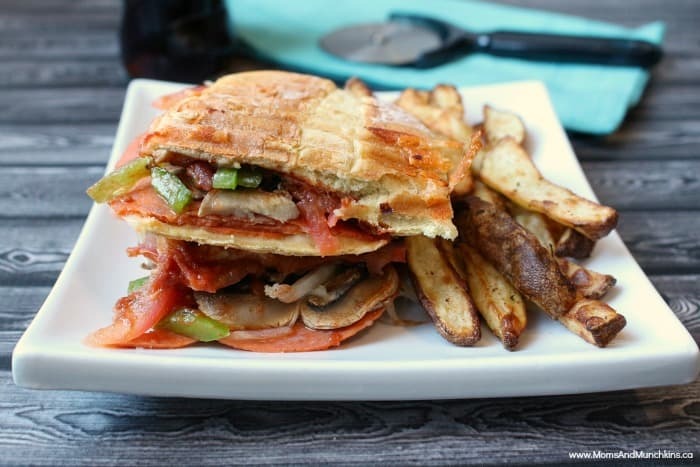 Pizza is a family favorite around here so I knew having it in a panini form would be a hit too! 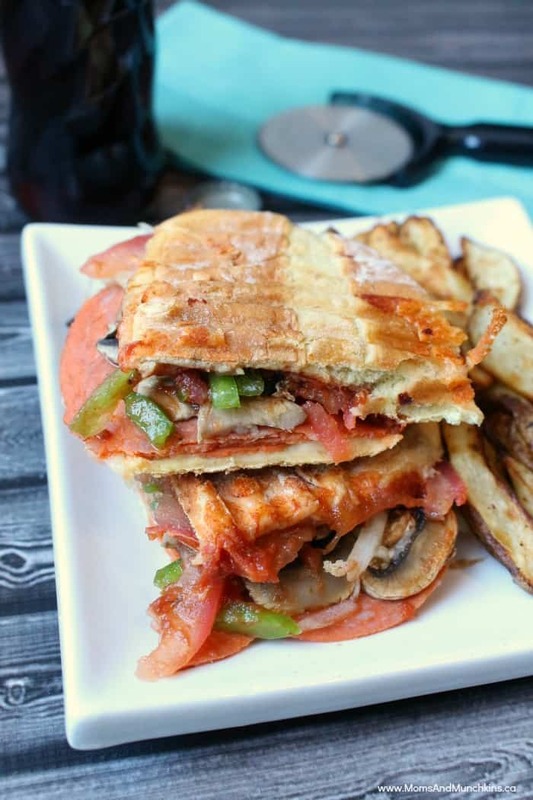 This Pizza Panini recipe is incredibly easy to make. Basically just add all your favorite pizza toppings between two slices of bread and grill. If you don’t have a panini press, you can simply grill this in a frying pan. Just heat on low until the bread is lightly browned and the cheese has melted. Don’t set the stove on high because you’ll burn your bread before the cheese melts. When we order pizza at home, we usually get a few different personal sizes because we all have a favorite. My son always chooses ham & pineapple while I prefer something with extra vegetables and feta cheese. I went with the basics in this Pizza Panini with pepperoni and your regular pizza vegetables. You can slice all the vegetables in advance and store them in the fridge for a quick & easy lunch idea. In a frying pan, fry mushrooms until browned. On a piece of bread, spread tomato sauce, pepperoni slices, green peppers, tomatoes, onions, mushrooms and shredded cheese. Grill in a panini press or in a frying pan (on medium-low) until the cheese has melted. 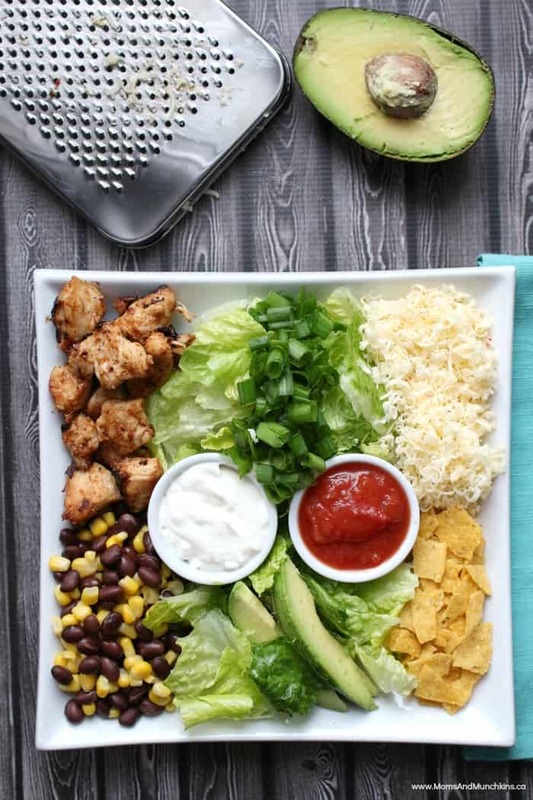 Another quick & easy lunch idea is this Santa Fe Chicken Salad. Simply make the chicken ahead of time and have the other ingredients washed and ready to toss together into a salad.